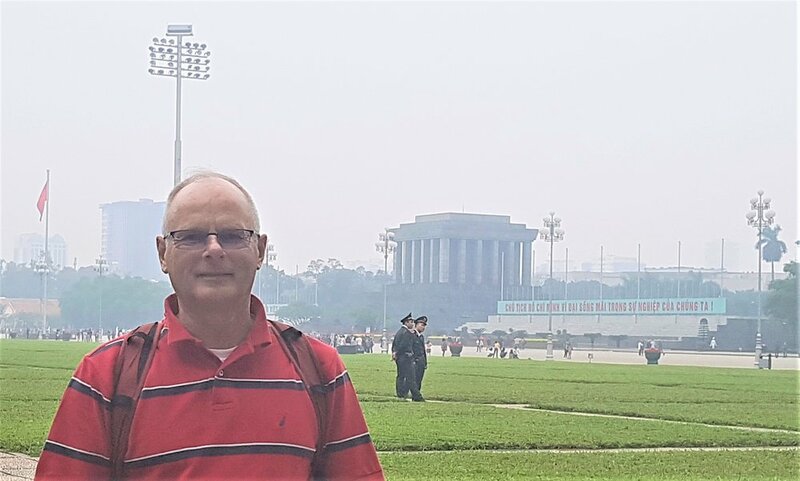 Francien and I traveled to Ha Noi, the capital city of Vietnam, leaving any expectations behind. 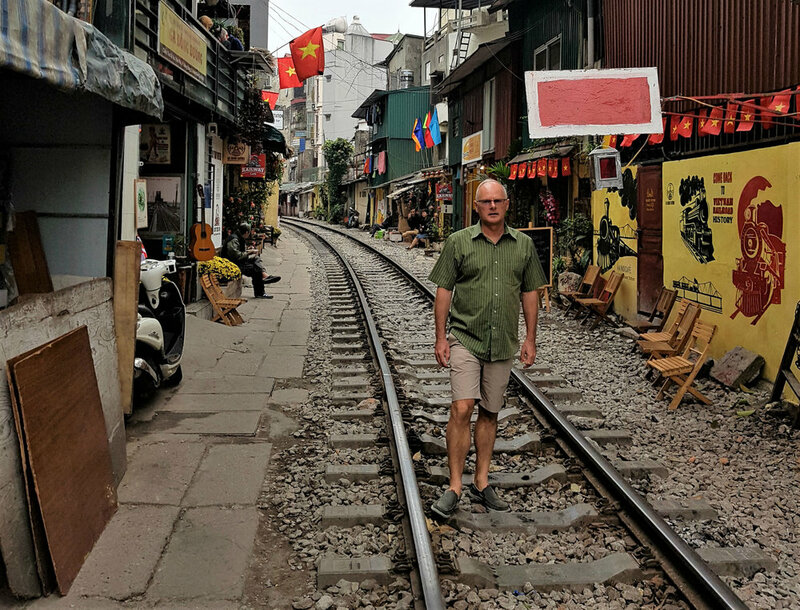 As this was our first time in Ha Noi, we checked into a hotel in the Old Quarter. Here we were spoiled for choice for taking those arch typical pictures of Asian street life. The narrow streets are lined with traditional shop-houses mixed with colonial type French architecture, not a few showing decay. 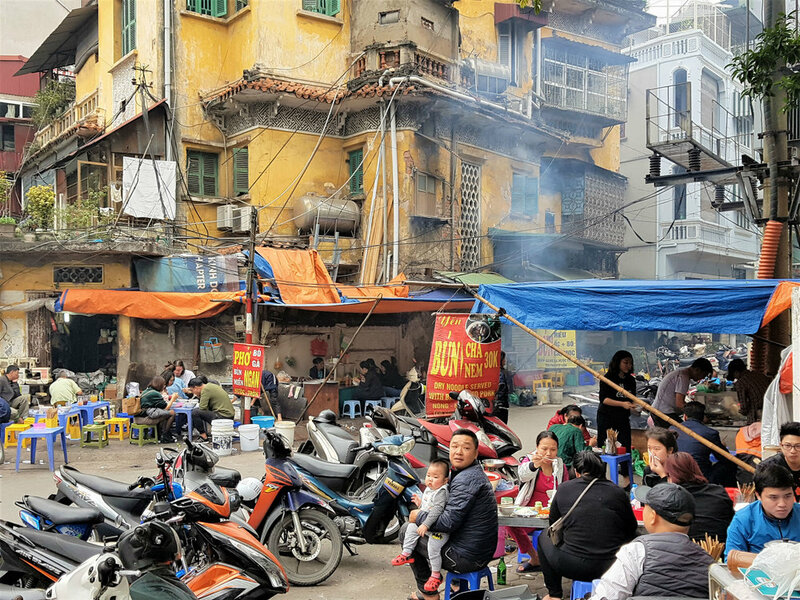 With this mix of French colonial style and wafts of burning incense, this district is a permanent carnival of food vendors and sidewalk cafes accompanied by the constant buzz of traffic. Local people eat, relax and rest for long periods of time in a squatting position on the sidewalks. 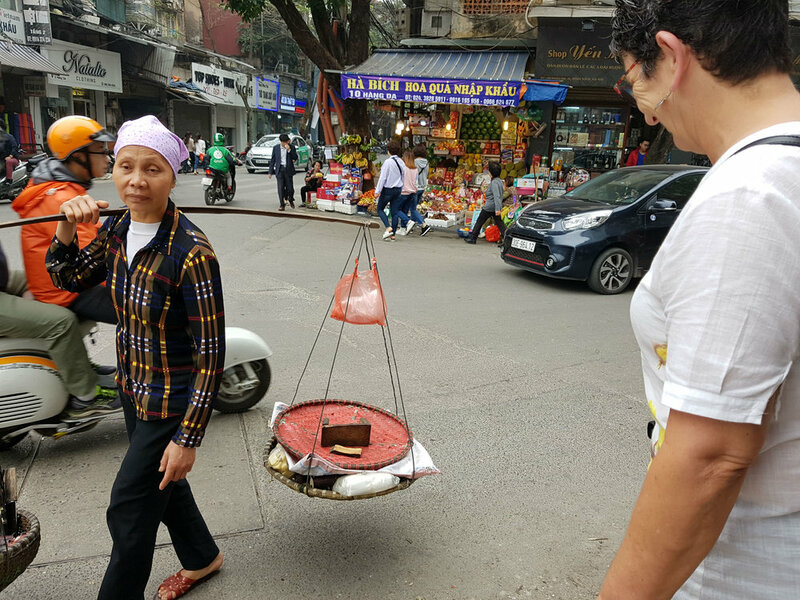 Hawkers, not a few wearing conical bamboo hats, lining the streets, selling meat, fruits, soups, rice, mouse traps, tools, shoes, clothing…. Life happens on the street, making it noisy, very hectic. Many sidewalks have been transformed into giant motorcycle parking lots, so for the most time we had to walk on the streets. Seriously, I never saw so many scooters on all my travels! 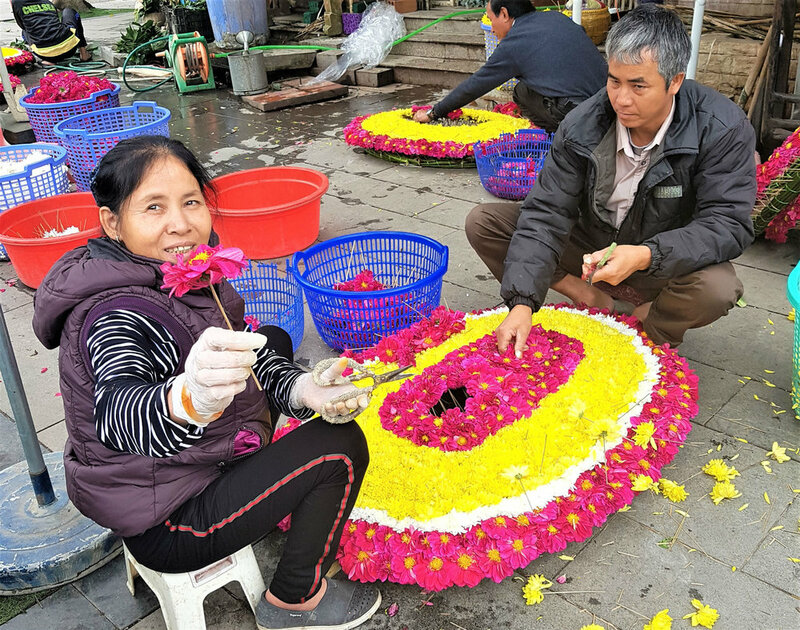 On their motorcycles, people bring wild peach blossoms from the mountains into the city. 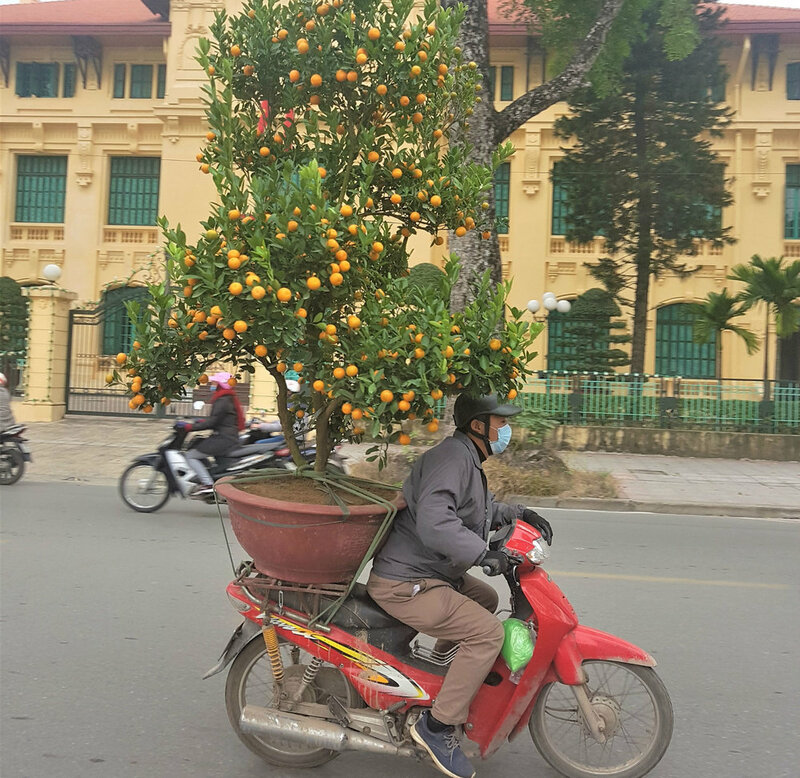 Tangerine trees, kumquat trees and baskets with pomelo fruits are somehow tied to the motorcycles. They are driving everywhere, also against the traffic flow. Cars constantly honk, somehow avoiding scooters, pedestrians and hawker stands. After a few hours in the city we learned that crossing a street meant you walk with a steady pace in a straight line and let the scooters work their way around you. It worked! Traffic has its own laws here. Only ten years ago, people couldn’t afford scooters and used bikes instead. With rising standard of living in Vietnam, people eventually could afford to buy these scooters. One can only imagine the traffic collapse if in the near future with further increase in spending power, all those motorcycles would be replaced by cars! But the Old Quarter is just a tiny part of the city. The modern city stretches in the plains with mainly low-rise buildings. This city of 7.5 million people has no significant skyline!! Only when we visited the observation deck on top of the Lotte Centre, we saw more modern high rises. Lotte Centre and surrounding business centre is an exception to the mostly low-rise buildings, with modern hotels, restaurants, coffee-shops and office towers. We watched businessmen leaving the office towers for their lunch, wearing the same business casually dress like we have experienced in Houston, Kuala Lumpur, Cape Town, Tokyo and New York. Holding smart phones, having coffee on the go, calling taxis, waiting for colleagues: a familiar lunch-time city scene. This is modern Vietnam, catching up with the wealthier countries in the region. From the 250 meters high observatory we saw the city shrouded in a murky haze, also a sign of modernity. In the winter, the fog created by the many rivers flowing in and around the city, traps the smog caused by the traffic, surrounding factories, wood stoves, domestic furnaces and construction dust. After one day Francien and I had a sore throat and headache. Some people wore mouth covers. 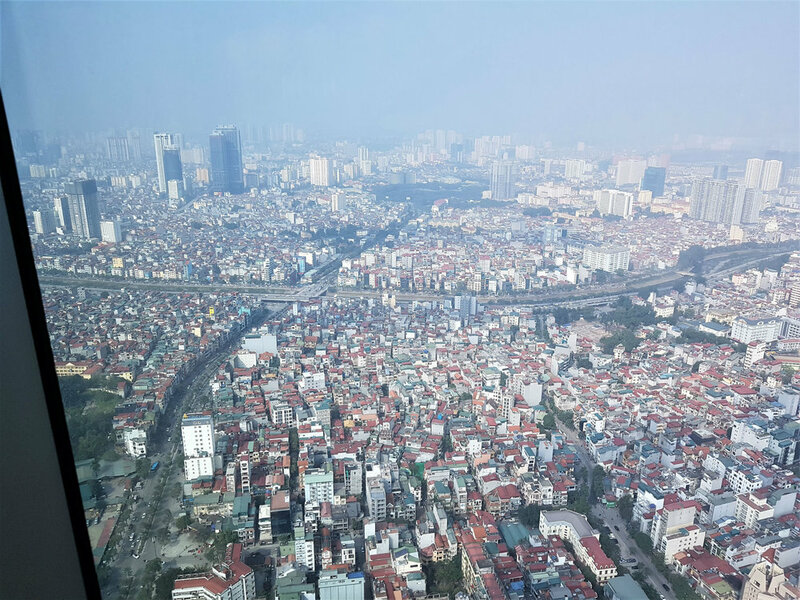 In the newspaper ‘Vietnam News’ authorities warn that air pollution reached dangerous levels (index greater than 250). We lined up to go into the Hi Chi Minh mausoleum. 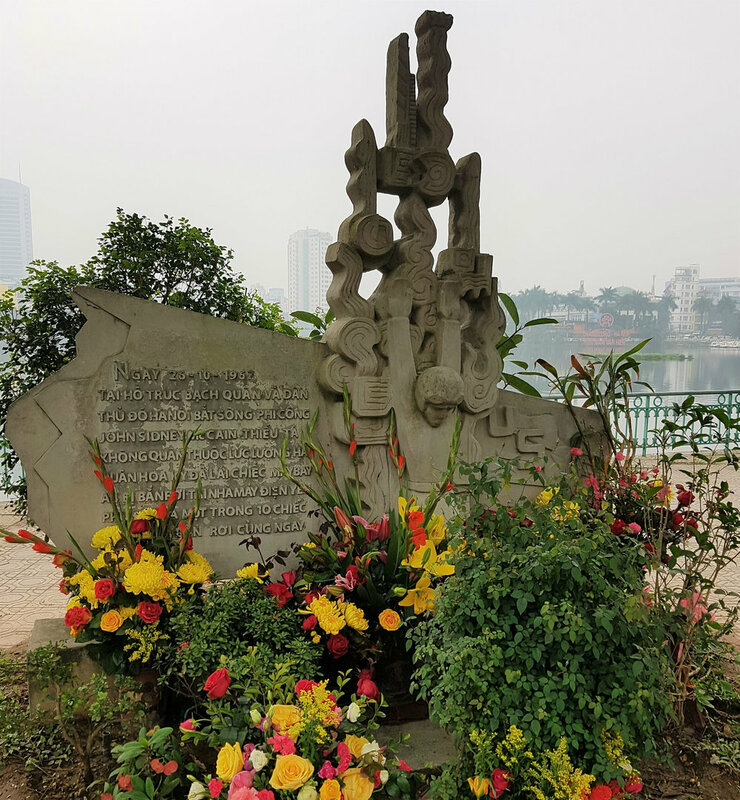 Uniformed police and splendid military guards organized the large crowds going into the grey granite cube, the final resting place of the Vietnamese revolutionary leader. The embalmed body lies in a dim chamber, garbed in a white suit and his waxy face with goatee, really looking like him from pictures I had seen before. Four guards stood guard around him. People walk passed, silent, no emotions. Soldiers constantly watched us, telling us not to stop, to walk in two lines, no photographing, no eating, no drinking. Seeing the body felt quirky, reminding me when we visited to Mao’s mausoleum in Beijing. When I think about Vietnam, childhood memories of war on our home TV come to my mind. 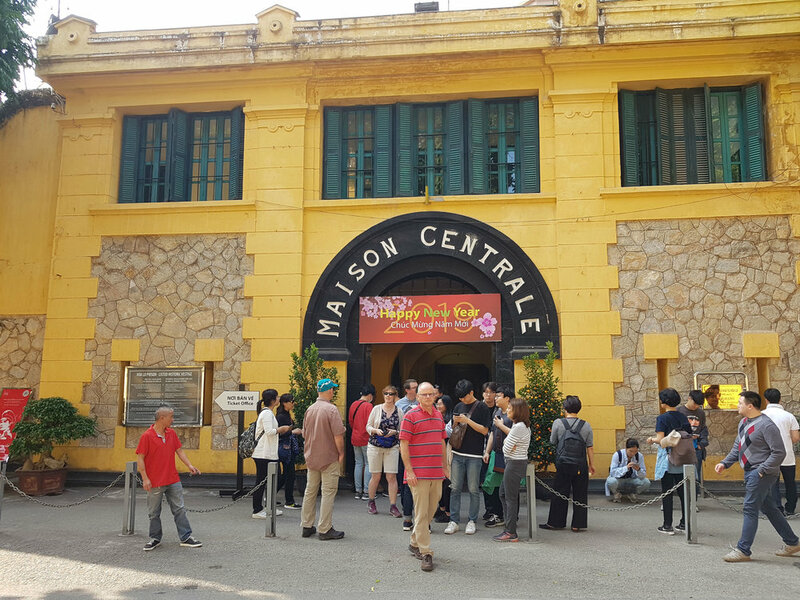 Therefore I was interested to see the Hoa Lo Prison. It was the place American captured pilots and soldiers were kept during. It is now a museum in Ha Noi, which dare I say it, is thought-provoking. Above the main entrance is written: Maison Centrale. A depressing museum inside the infamous former prison built by the French colonial administration. The black painted walls made it feel creepy. Its displays gave a good inside in the unspeakable suffering due to the French colonizers; the cells, the dungeons, the guillotine. 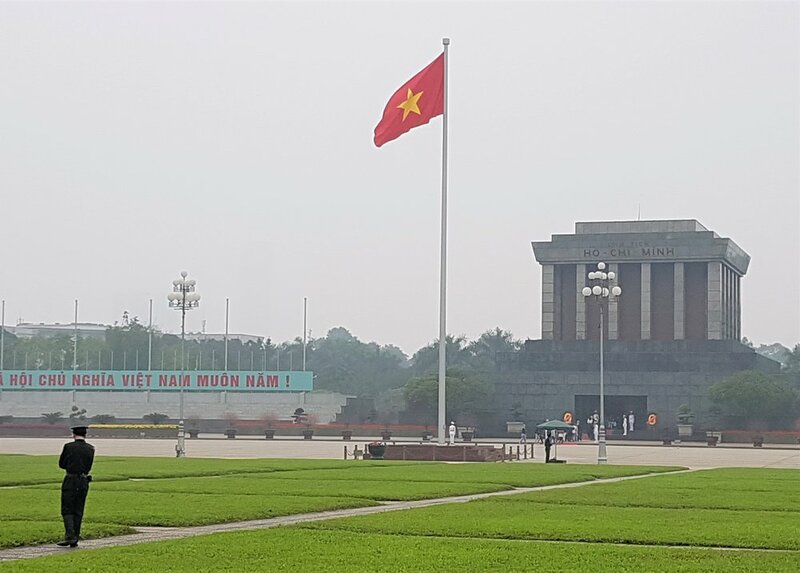 It is a monument to celebrate the Vietnamese independence struggle against the French. But the part of the American prisoners held there during the Vietnam war (or the American war as the Vietnamese call it) looked like fake news; captured US pilots playing basketball in the courtyard, enjoying good meals, being medically checked by physicians and all looking happy and healthy! Sarcastically it was called the ‘Hanoi Hilton’ during that disastrous war. Too nice to be true. History is written by the victors! All and all a humbling experience, leaving me with the thought that history repeats itself time and time again around the world. It reminded me of the apartheid’s museum in Johannesburg, showing the freedom struggle, draped in lots of propaganda. The local people we saw and met on the streets, in the shops and eateries all seemed to be entrepreneurial, industrious, active and agile to do their businesses. In our hotel the young staff was friendly, spoke English, were energetic and enjoyed the occasional joke. The many tourists we saw were from all around the world, but American and French accents outnumbered the rest. 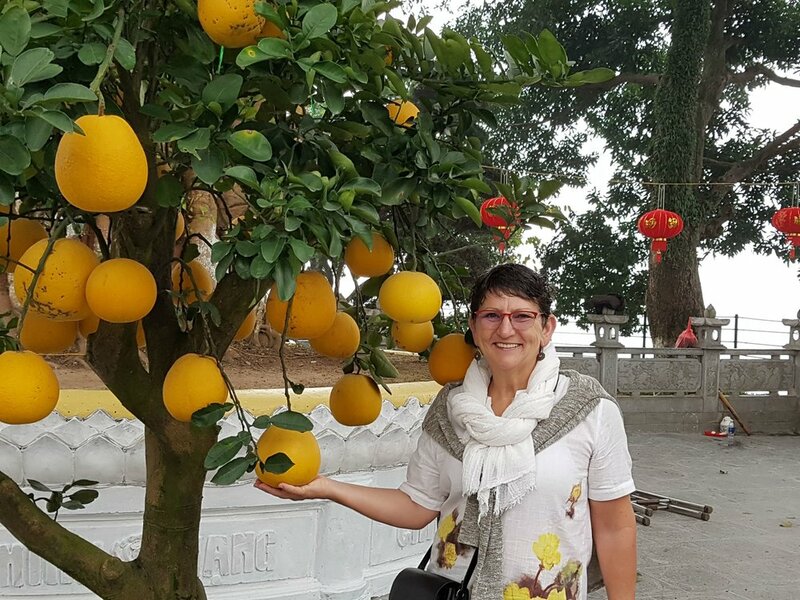 ‘Do you have time to practice speaking English with me?’, six students in their early twenties asked me when I was sitting on a bench one afternoon, overlooking the Hoan Kiem Lake. ‘What is your name? Where are you from? How old are you?’. The questions they had prepared for me, practicing their rudimentary English skills. ‘I want to go to Canada, because my uncle is already there.’, one guy said with a strong accent. ‘I want to become a lawyer and earn a lot of money.’, another sighed. All I can see in the city is that the overwhelmingly young people are adapting the western lifestyle; they wear modern western clothing, listen to hip-hop music, play on skateboards, are addicted to smartphones and socialize in coffee-shops. 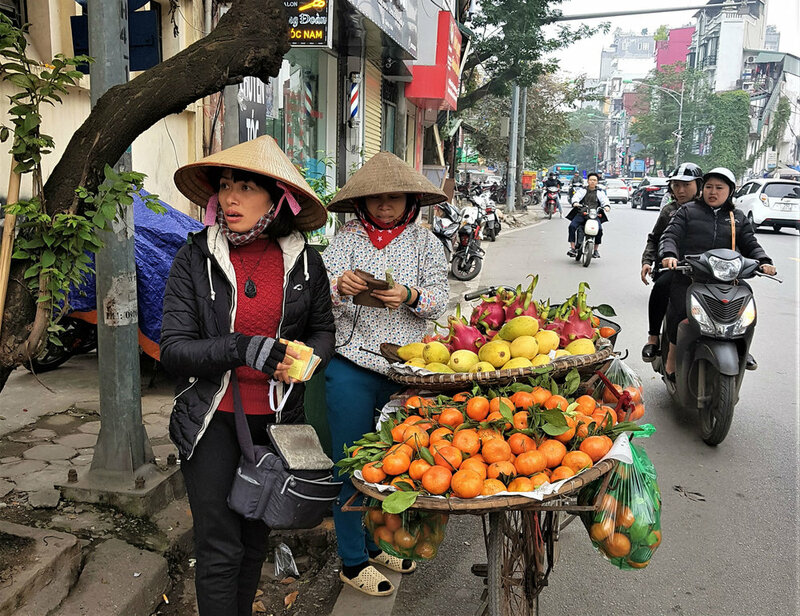 However, Ha Noi still feels authentic with real Vietnamese culture. There are western shops like Starbucks, KFC and McDonald's, but at least real genuine local shops far outnumber those western stores. And those students wanting to practice their English skills, still ate traditional Pho, Bun Cha, Pho Cuon and rice in those many street food eateries. One day we traveled by bus on the newly opened highway from Ha Noi to Ha Long Bay. During the three-hour trip we passed banana fields, rice paddies, lakes, rivers, villages, the port city of Haiphong and before we got to the marina, we saw pearl farms in coastal waters lined with mangroves. It is impossible to understand a place when visiting only a few days. 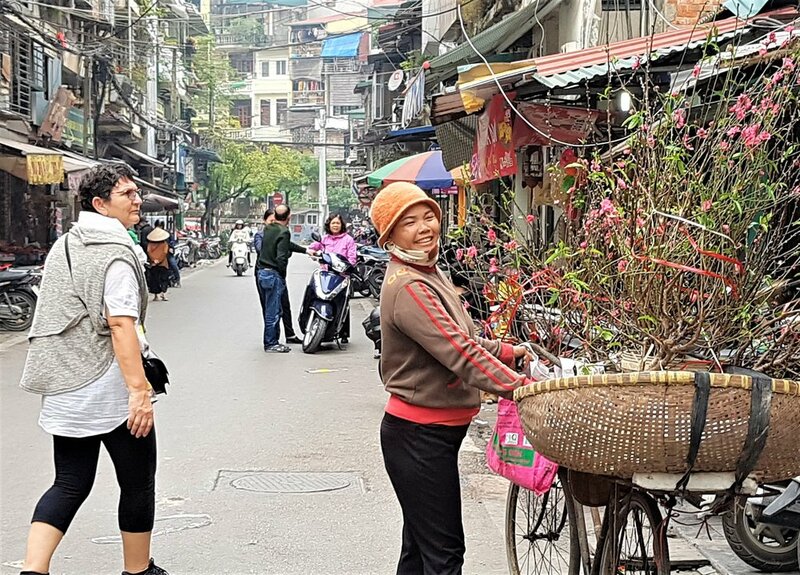 Having traveled most South East Asian countries, Ha Noi felt similar to many other big cities in the region, but the historic center has indeed been preserved exceptionally well. 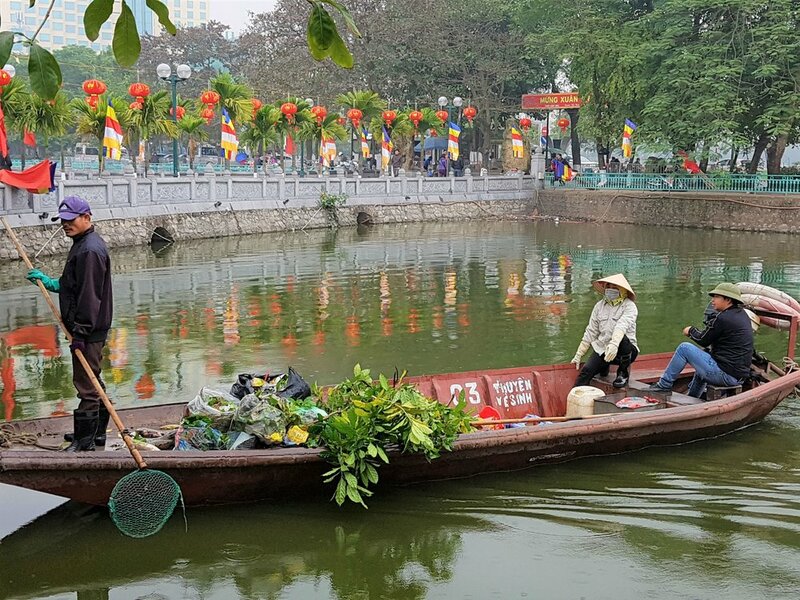 I cross my fingers that Vietnam will be able to solve future problems with their infrastructure, pollution and harnessing increasing tourist flows, much like we have seen in its neighboring countries. The people are young and certainly seem to be diligent to do just that.